Board members — Current Problems, Inc.
Dan has been with Current Problems since the very beginning. He is a dedicated steward of the environment, involving himself in a variety of cleanup and educational events around North Florida. Dan is a talented artist and often incorporates his love of nature into his personal artwork. Sue has volunteered with Current Problems, since its beginning in the early 1990s, focusing primarily on nearby waterways - rivers and springs in an effort to clean up and bring awareness to trash, litter and garbage dumped, causing pollution to the drinking water. They picked up tons of trash, sorted, and recycled as much as possible. This grass roots organization is making a difference, involving our community in efforts to preserve and protect our water supplies. Sue is passionate about the mission and grateful to the many volunteers who support this cause. Barbara Gibbs is a founding board member of Current Problems. Besides being concerned about water quality issues, she enjoys kayaking on North Florida rivers and springs and is an avid photographer. Mike Byerly has served on our board for many years. His love of nature is reflected in many ways. 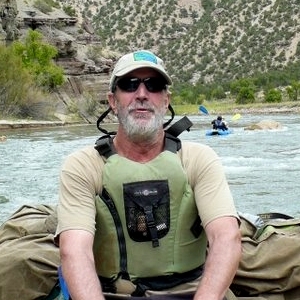 He studied Zoology and Ecology, serves on several environmental non-profit boards, and can often be found kayaking. hiking, or photographing nature. Tom has been with Current Problems for many years, and served as treasurer for many of them. He is an avid cyclist and environmentalist, splitting his time between Gainesville and the mountains of North Carolina. Ruth Steiner is a Professor and Director of the Center for Health and the Built Environment. Her research focuses on planning for sustainable communities especially for transportation. Since 1980 she had been an enthusiastic recycler and composter. She routinely picks up trash when she goes for walks in her neighborhood. 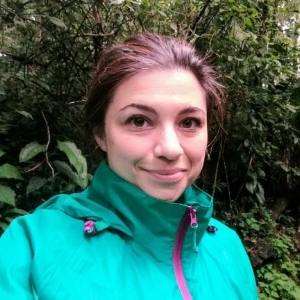 Caroline Huguenin is a doctoral student at the University of Florida in the Geography Department. Caroline holds a Bachelor’s degree in Civil Engineering from University of Costa Rica and a Master’s degree in Water Science and Engineering from UNESCO-IHE in the Netherlands. Caroline previously served as an Advisory Board member at the Water Youth Network, an international NGO that looks to include youth in the water issues discussion table. Her interests include hydrology, remote sensing, climate-change scenarios, environmental protection and disaster risk reduction. Megan Black is a second year master's student at the University of Florida studying fluvial geomorphology. She also received her bachelor's degree from UF where she specialized in geospatial analysis. Megan volunteered with Current Problems several times before stepping into the role of executive director. Having grown up in Gainesville, she first visited a spring when she was a few months old. Her life has revolved around the springs and rivers of North Central Florida, and she is excited to have a career through which she can work to preserve them. In addition to working for Current Problems, Megan works at the Alachua County Environmental Protection Department.